Summer 2018 is an exciting time for hockey with the Vitality Hockey Women’s World Cup in London, from 21 July – 5 August 2018. Vitality, are also helping to develop grassroots hockey through their sponsorship of “Back to Hockey”. 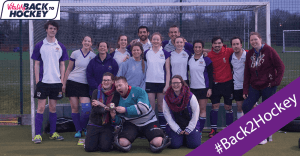 Here at Winchmore Hill & Enfield Hockey Club, we welcome you to join us for our very own Back to Hockey / New to Hockey sessions for men, ladies and youth players (13+). This year we are running FREE sessions for people in the boroughs of Haringey and Enfield, starting on Saturday 30th June and running every week until Saturday 18th August 2018. While it’s not quite the world cup, you could be a champion this summer by taking part in our Summer Sixes tournament. Held on the MUGA at the clubhouse (Fords Grove, N21 3ER) from 7pm, this is the perfect antidote to the off season blues. It’s also the perfect opportunity to bring your ‘member get member’ target down to the club to enjoy a casual introduction to the game. This tournament is open to anyone regardless of experience – we will have spare sticks available to borrow. Enter a team or just come along as an individual! 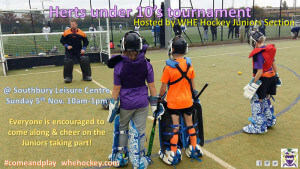 If you have any questions or would like to register your interest in taking part get in touch today whehockey@gmail.com – we look forward to hearing from you! After England’s opening match (or for it, if you don’t have tickets!) We will be gathering in the spectator village in the Olympic Park. The village is free to enter for the duration of the tournament and England Hockey will be giving spectators a chance to meet the players. Where better to watch the national team than with your hockey family? 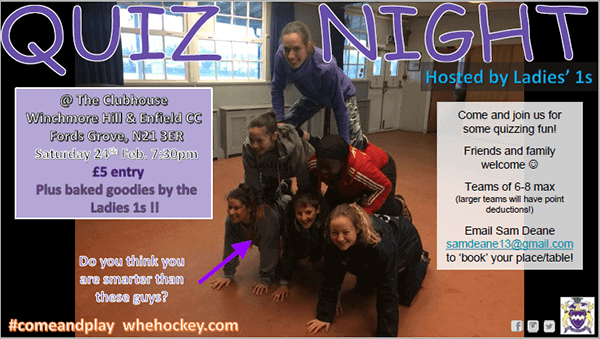 The Ladies 1s are hosting the next hockey social and have plumped for a quiz night! So it’s time to organise your teams and make your way to the clubhouse on Saturday 24th February from 7:30pm. £5 entry per person, including some ‘baked goodies’! Full details enclosed. 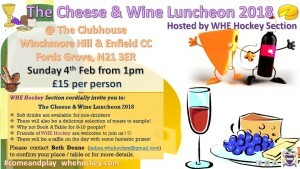 The annual Cheese and Wine Luncheon is one of the hockey section’s most popular events of the season and this year will be held on 4th February from 13:00. It is exactly what is says on the tin – we provide a wide selection of cheeses and accompanying wines for you to sample (and by ‘sample’ I do of course mean ‘eat and drink merrily all afternoon’). 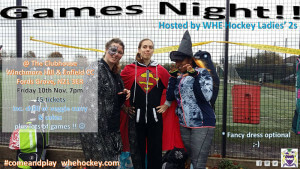 Please contact Beth Deane at ladies.whehockey@gmail.com to confirm your place / table or for more details. The junior section is taking part in the “Parade of Light” from 4-5:30pm through the streets of Enfield. 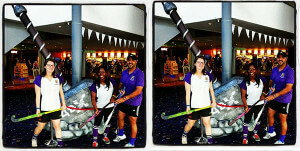 Watch out for our purple shirts and decorated hockey sticks! 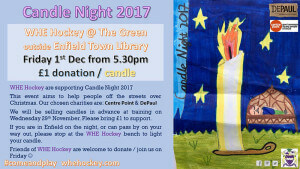 Winchmore Hill & Enfield HC is supporting Candle Night 2017. This event aims to help people off the streets over Christmas. Our chosen charities are Centre Point and DePaul. 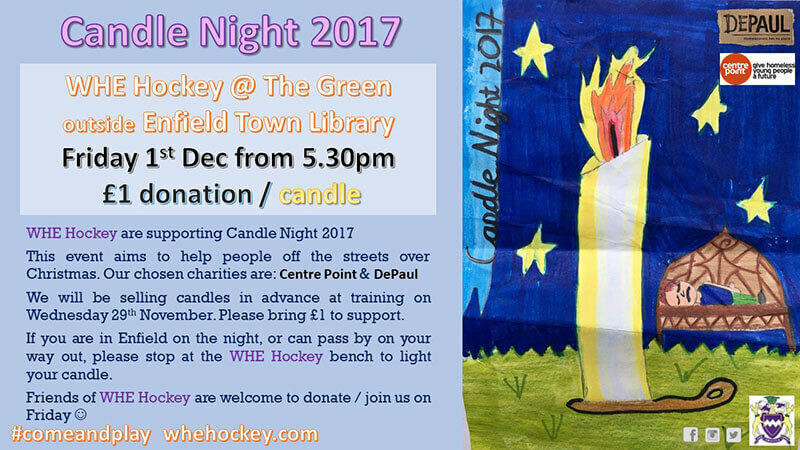 If you are in Enfield on the night, or can pass by on your way out, please stop at the WH&E Hockey bench to light your candle. Update: Our bench contributed to a total of £1500 raised by Candle Night this year. Thank you to everyone who contributed to this fantastic cause. Next year, there are plans for midsummer and midwinter Candle Nights. The men’s 2s have taken charge of organising the next social and it’s time for ten pin bowling! So get ready for Strikes, Spares and maybe a few Turkeys on Bowling Night! 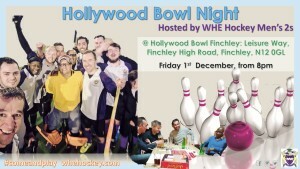 8pm onwards at Hollywood Bowl, Finchley. We are hosting the next round of the under 10 boys Herts junior league from 10am to 1pm at Southbury Leisure Centre. 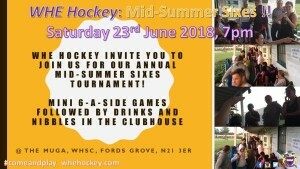 With 10 teams entered, including two from Winchmore Hill & Enfield, this should be a great showcase for our club and a chance to see the next generation of hockey talent coming through. 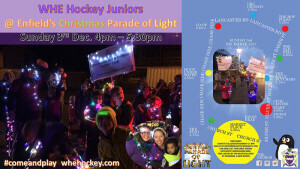 Come on down and support the juniors – everyone welcome! Refreshments will be available on site. 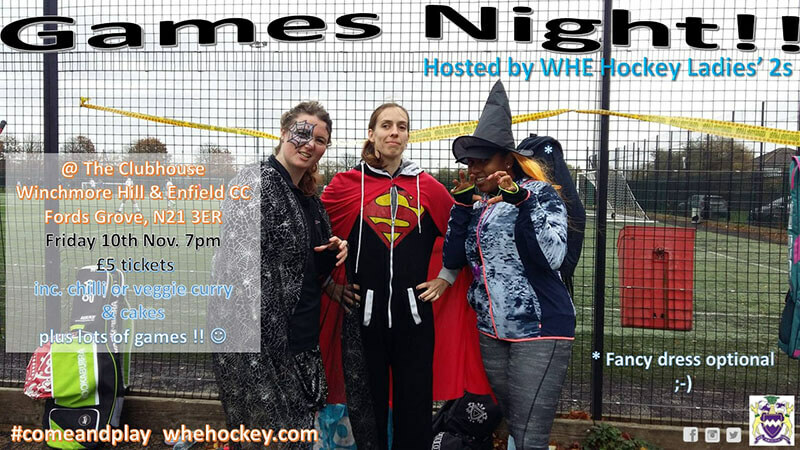 This season, each team is going to host a social and the Ladies 2s have bravely stepped up to kick the season off with a games night at the club. It’s going to be Friday 10th November from 7:00 and will cost £5. The team will be cooking homemade dinners in preparation for “Super Saturday” on 11th so please confirm your attendance with the captains asap! To celebrate the refurb and introduction of a brand new 4DX auditorium and new movie Thor: Ragnarok, Cineworld Enfield challenged local sports teams to put their Thor attributes to the test, and go head to head in a tug of war! WHE Hockey accepted the challenge…and won! 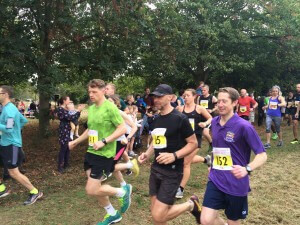 Another opportunity to get our name out in to the local community is the Mayor’s Fun Run held at Forty Hall. 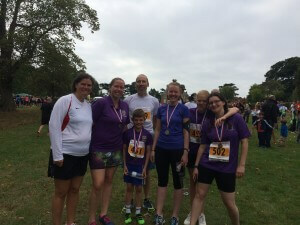 Various members of the club have participated in the 3k and 10k over the past few years including some outstanding performances from some of our youth members. It’s a lovely club event. You could even use it as a fitness target as the season starts! This summer’s recruitment drive continues at a number of local festivals across the borough including Palmers Green Festival (3rd September) and Enfield Town Festival (23rd September). These events are a great way to get our name known in the local community and recruit new members across the section. They are always enjoyable and if the sun shines- even more so! It would be great if as many members as possible could give up an hour or two to come down and show what a friendly club we are. 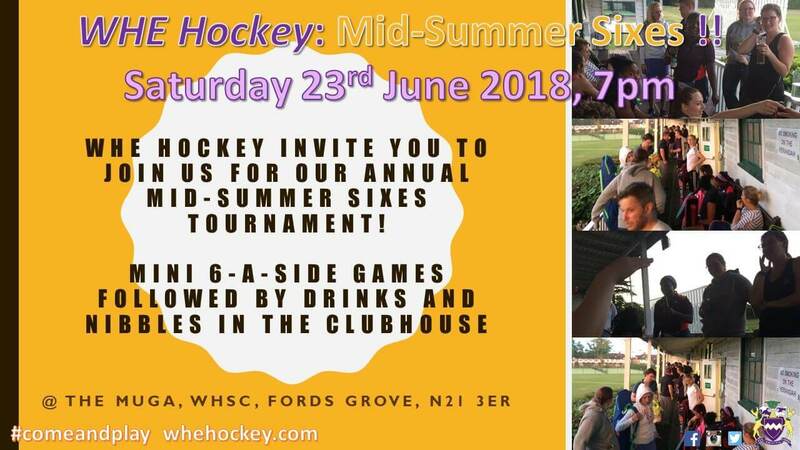 We are holding this year’s Back to Hockey at our clubhouse (Winchmore Hill Sports Club, Ford’s Grove, N21 3ER) on Saturday mornings 11:00-12:00. The first session is 15th July and they run until 19th August. Everyone is welcome, whether you are picking up a stick for the first time in a while or the first time ever. Our friendly coaches will ensure enjoyable sessions for everyone. The club will provide sticks but shin pads are probably a good idea if you’ve got them. At WH&E HC, we’re taking part in England Hockey’s biggest national campaign of the year – HockeyFest! 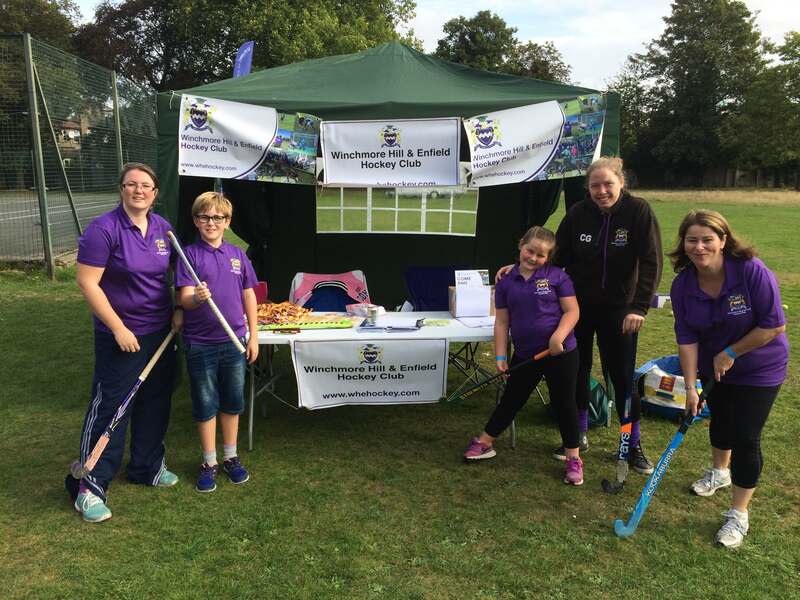 Taking place on Saturday 9th September, HockeyFest is focused on the friendly and social side of hockey, where clubs like us open their doors to new and existing hockey players. 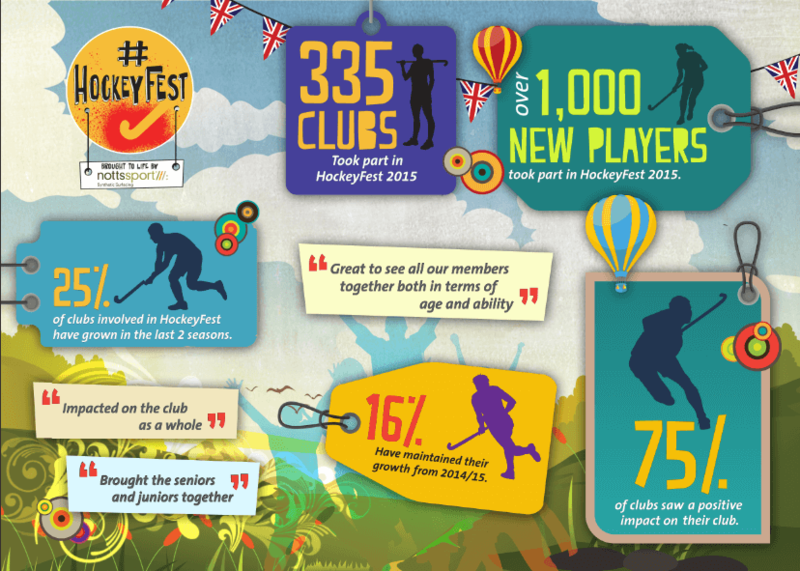 If you are feeling inspired after Great Britain’s recent Olympic success, then HockeyFest is a perfect way to join our hockey family. From juniors to volunteering to parents coming back to the sport there is something for everyone. 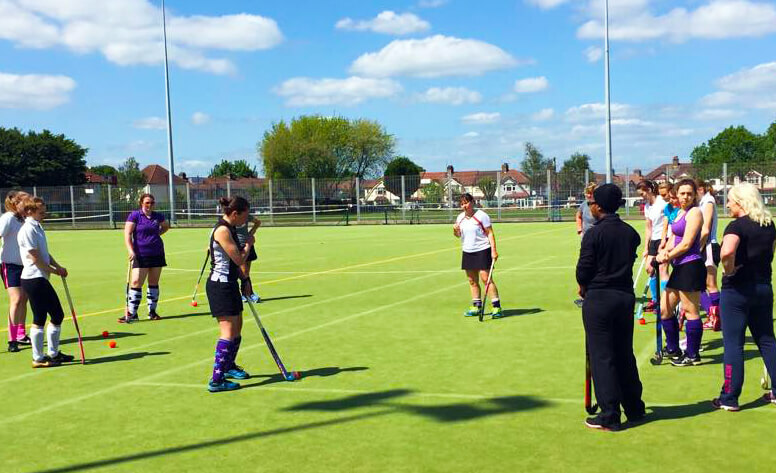 Our HockeyFest will be held on Saturday 9th September, ladies at 12:00-1:30 and men 1:30-3:00 on the astroTurf at Aylward Academy. This will be followed by a BBQ and social get together at the club house, Winchmore Hill Sports Club.